Are you looking for a birthday present for your love? 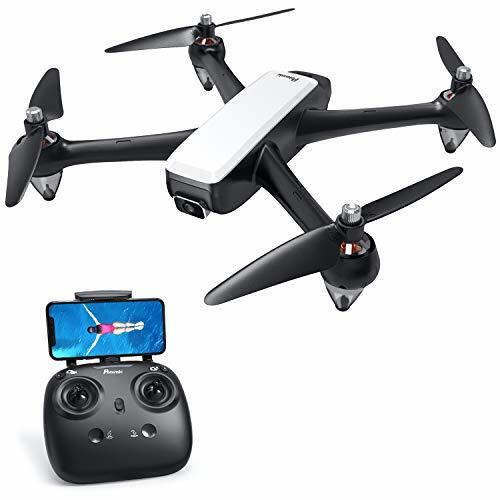 This quadcopter with camera will be the best option! ☞ Longer Endurance：Equipped with two 1800mAh batteries to extend flight time to 40 mins so as to fully enjoy the flying time with the . ☞ 2.0MP 720P 45° up and down adjustable camera. ☞ Real-time transmission, voice control,gravity-control,trajectory flight via APP control. ☞ Press 3D flips button to show different ways of flipping in the air. ☞ Hovering,altitude hold,smooth flying, one-key taking off/landing functions for beginners. ☞ Three speed mode from height to low to choose a speed according to your operating proficiency and surroundings. ☞ Made of ABS plastic material, durable and broken-resistant. Effectively reduce the possibility of any damage. 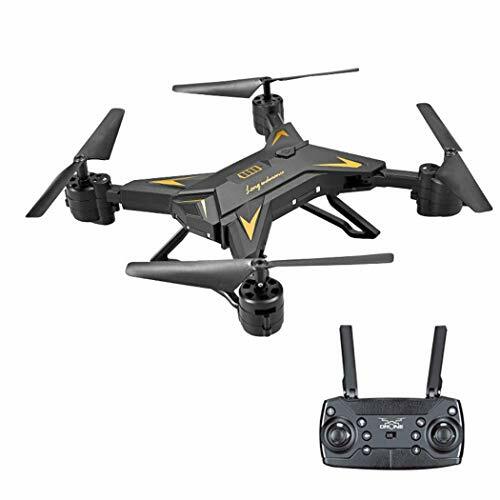 ☞ Equipped with 6-axis gyro core to help the drone to fly more smoothly and steadily even in strong windy days. ☞ The advance pressure altitude hold function enables the drone to hover at a fixed height and keep it. ☞ Both the detachable lithium battery and USB charger have power-off protecting functions.The charger has overcharge protection with automatic power outages. ☞ For any questions, pls feel free to contact us. NOTE:Please allow 1-2cm error due to manual measurement. 【LONG ENDURANCE】:✈ Equipped with two 1800mAh batteries to entend flight and shooting time with about 40 mins flying time.The drone battery is detachable and super easy to change.Both lithium battery and USB charger have power-off protecting functions.The charger has overcharge protection with automatic power outages,which can extend the drone’s service life. 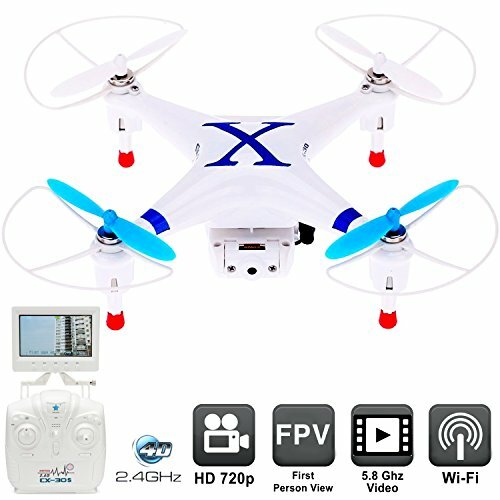 【2.0MP CAMERA】: ✈ This quadcopter is equipped with 2.0MP 720P camera that is 45° up and down adjustable. Connecting WI-FI for real-time transmission, you can share the beautiful scenery with your family and friends. 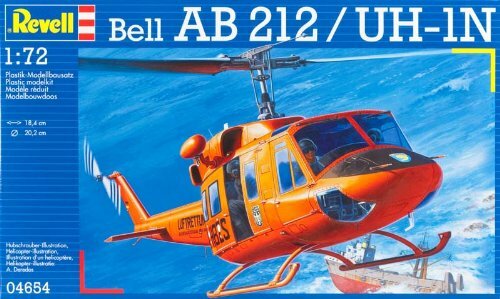 【APP CONTROL】:✈ It’s an aircraft operated independently by a mobile phone via the App downloadable on iOS and Android App market.As a smart drone, a built-in G-sensor is designed to allow controlling the drone by adjusting the vertical and horizontal position of your smartphone.You can also turn on the VOICE CONTROL function to control the drone without a transmitter through the speech recognition in flight. 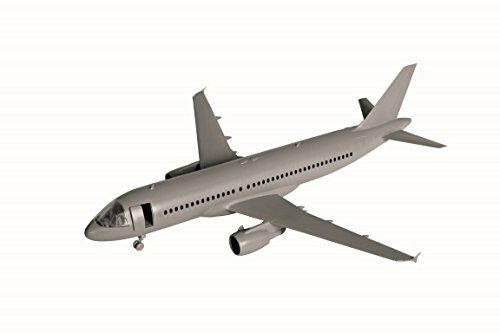 【RETRUNING FUNCTION】:✈ A kind of drone that not easy to lose.When the drone loses its way on flight, you can recall it by just pressing “one-key return” function. 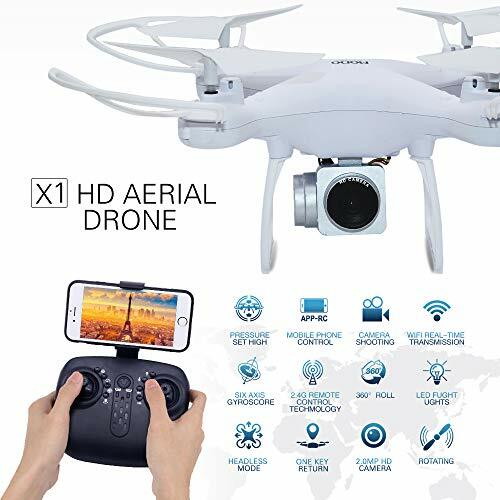 In the case of low battery, loss of communication,remote control power off, the drone will be back to you automatically. 【ALTITUDE HOLD】:✈The advance pressure altitude hode function enables the drone to hover at a fixed hight and keep it. You may find it ealier to control the drone for the beginners.